Janet Heller is an Oakland poet, teaching artist and community arts leader. She founded the San Francisco WritersCorps and during her tenure built an award-winning, highly respected literary arts program. She has published poetry (Back to Front: Red Window Press) and essays, but is currently working on a novel about an Oakland family with roots in Cuba. She graduated from Tulane University (BA in English) and Florida State University (MFA in Creative Writing). She has been teaching creative writing for 20 years, most recently at North Oakland Community Charter School. Tavia Stewart has nearly 15 years of experience running literary and community nonprofits. Most recently, she left her post at National Novel Writing Month where she spent nine years building the organization, the final three as Deputy Director/COO. Previously Tavia interned, volunteered, and worked for 826 Valencia, McSweeney's Publishing, ZYZZYVA, and Watchword Press. She has also helped with development for Oakland First Fridays and the Oakland Book Festival, is founder and Executive Director of Invisible City Audio Tours, and a co-author of Ready, Set, Novel (Chronicle Books). Oh, and she is also the lucky mom of one highly energetic (and dramatic) five-year-old humanoid. Jessica Blair has been a nonprofit fundraiser since she volunteered to write grants for 826 Valencia in 2003. Ten years later, she led the fundraising team at 826 Valencia and laid the groundwork for the organization's successful Tenderloin expansion. After years of serving nonprofits on staff, she launched Jessica Blair Consulting to further the missions of organizations large and small through coaching and consulting. Jessica is pleased to join Chapter 510 as Interim Director of Development through the end of 2018. When she's not helping organizations change the world, Jessica can be found enjoying her Oakland backyard with her husband and chocolate Labrador, Cali. Jahan Khalighi has been working with youth in the Bay Area as a teaching artist, enrichment coordinator, youth mentor and community event organizer since 2006. He grew up in the Bay Area as a first generation Iranian American, raised in a family of artists and teachers. He is an alumni of June Jordan's Poetry For The People program at UC Berkeley under the mentorship of Aya De Leon, and a former member of the Eugene Poetry Slam Team. He graduated from University of Oregon with a major in English Literature. As a community arts facilitator he has led the Planetary Dance, a community based performance ritual for peace at the annual Venice Biennale arts festival in Italy, and with youth at ASPIRE middle school in Richmond, Ca. As a teaching artist for California Poets in the Schools he has facilitated creative writing workshops at public schools and juvenile halls across the greater Bay Area. His poetry has been featured at TEDxSonomaCounty and Whoa Nelly press online journal. Maya Padilla is a recent graduate of California State University, Chico with a BA in Political Science. Maya is excited to start her year of service with Chapter 510 through the Americorps VISTA program. She has a voracious appetite for travel and seizes every opportunity to be out of her comfort zone. She looks forward to a life of exploring new ideas, communities, and food. Han Choi is a recent Cal Poly graduate, earning their degree in English Literature with minors in Technical Writing and Women’s and Gender Studies. As an Oakland native, they are incredibly excited to be back and in partnership with BAYAC Americorps to serve their community by supporting and empowering students through language and creative writing. They are a big fan of academic database access, student publication, and 75¢ buns made fresh daily in Oakland Chinatown. Nikkie is a Nor Cal farm girl turned sort-of-city-slicker. She still can’t remember that parking in cities take more than 2 minutes, or that street sweeping exists, but absolutely loves the vibrant activity of Oakland and the rest of the East Bay. Previously she has studied Fine Arts at CSUCI and Accademia Di Belli Arti in FLorence Italy, and currently has two paintings in a permanent collection in the Museum of Contemporary Art in Florina Greece. She earned her BA in Studio Arts in 2017 from CSUCI, where she accidentally minored in archeology due to a hobby of taking too many classes not related to her major. Nikkie is continuing her learning and ‘arting’ as the Chapter 510 Design Intern. On the side she teaches pottery lessons, and spends a lot of time staring lovingly at a friends Heidelberg Cylinder Press. Ana Acosta is a writer, ceramicist, and Oakland native. She will be receiving her BA in English from UC Berkeley in May 2019. Ana is interested in being a lifelong student by continuing to learn and share new forms of expression. Shuchi Mishra is currently pursuing her MFA in comics from California College of the Arts. She loves cartooning and daydreams about her characters coming to life someday. She lived in India and Germany before moving to San Francisco in 2016. She plans to teach comics after completing her degree and hopes to find a publisher for her graphic novel "Third Groundation" in the next two years. She suffers from wanderlust and takes off every now and then to remote places in the world. If given a choice, she'd love to be a sheep. Shuchi would love to bask in the sun, graze all day long and sleep. Eneceia Lang is a Senior at Metwest High School. Throughout her high school career she has interned at various Oakland elementary schools, including Roses in Concrete Elementary and Joaquin Miller Elementary. There, she worked in classrooms as a teacher’s helper. She has also worked with Youth Radio in downtown Oakland and gained the experience of co-running a radio show. While at Youth Radio she traveled to Puerto Rico to help fight the injustice Puerto Rico has been facing. During her free time she enjoys reading, writing poetry, dancing, shopping, and watching horror movies! Margie Chardiet is a poet with a background in social work and a particular interest in the health and creative advancement of youth. In addition to serving a year with AmeriCorps as a family advocate for parenting teens, she has waitressed in various ancient restaurants and worked as a case manager for homeless families. Her poetry has been featured or is forthcoming in the New Haven Review, The Briar Cliff Review, and Meridian. Rae'Chel Stanley is a Bay Area native with a strong sense of pride about it! She is studying Child and Adolescent Development with a minor in Africana Studies at San Francisco State. Rae'Chel identifies herself as being a queer, Black, healer queen determined to create world change one poem at a time. Lover of all things related to radical self love, she has aspirations of one day creating her own non-profit in Oakland where such self love will be in abundance. As a poet, Rae'Chel prides herself on her ability to help others heal through the words she speaks. If she isn't putting pen to paper in her poetry book, Rae'Chel can be found dancing around her room, basking in self love! This is a paid internship funded by the Youth Leadership Institute. Samuel Getachew is a 16 year old poet, activist, and organizer from Oakland, California. He is the 2017 and 2018 Youth Speaks Teen Poetry Slam Champion and is the 2018 Oakland Youth Vice Poet Laureate, and has been fortunate enough to perform in spaces ranging from corporations like Google and Salesforce to organizations like the March for Our Lives. His poetry has been featured by NPR, KQED, KTVU, and more, and his writing can be found published in the New York Times and the SF Guardian. He is currently a junior at Oakland Technical High School. Alicia Crawford joined BRIDGE as the Director of Programs in 2014 and oversees a portfolio of 100 properties’ programs and services for family and senior residents of affordable housing developments. Alicia previously held positions at Leap Frog Inc. as a game designer, as a civic engagement strategist at VolunteerMatch and co-designed and launched Idea Lab, a youth program of the Humanities Council. She holds an MFA in creative writing and is currently and slowly pursuing an Ed.D in education. She has an unhealthy fondness for stray dogs, accordion music and attempts to spend as many hours as possible at her place of faith, the Pacific Ocean. Wendy spent the first chapter of her career as a K-8 educator and school administrator. Through her work founding a teacher training program at the Nueva School in Hillsborough, CA, she developed a passion for teacher development. In 2010, she joined the Abundance Foundation as the Education Program Director, and help start the Agency by Design research project, a collaboration with Harvard Graduate School of Education's Project Zero. This project has explored the promises and practices of maker-centered learning, and has included deep engagement with Bay Area teachers working in cross-context professional learning communities. Wendy is an impassioned writer and her work has been published by the Huffington Post, Momastery, and in several books including Maker Centered Learning and Shivering in a Paper Gown. Wendy earned a BA in Public Policy from Duke University and a Masters of Education from Lesley University, and she lives in Marin County with her husband and two children. Mariah Landers is a committed educator, artist, and integrated learning practitioner with 20 years of teaching experience that includes Special Education, Outdoor Education, Kindergarten, First Grade and Adult Education. She holds a BA in Anthropology from UC Santa Cruz and an Ed.M in Equity and Social Justice in Education from SFSU. She currently serves as the Director of the Integrated Learning Specialist Program in Northern California where she supports educators to understand and apply integrated, arts based learning, authentic assessment practices and curriculum design to achieve higher academic outcomes for student success. 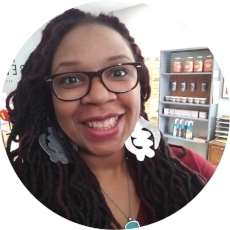 In addition, she is an educational consultant with clients in Bay Area that include the Oakland Museum of California, Hack the Hood, Alphabet Rockers, Chapter 510, and Not Much But Good. Mariah has been featured on PBS’s “The Electric Company” for a teacher instructional series. She is the recipient of an award from Teacher for Social Justice for her work to foster equity in the classroom and is 2016-2017 fellow at Yerba Buena Center for the Arts to investigate the question "What does Equity look like?" Melissa (Powar) Clarke advises global clients large and small on employment law and benefits best practices. In addition to helping clients comply with municipal, state and federal regulations, Melissa focuses upon managing compensation and equity issues, litigation avoidance, day-to-day employee relations issues and severance and separation matters. She has developed and delivered hundreds of training modules to clients all over the world, including courses in benefits administration, anti-harassment, documenting employee issues, wage and hour compliance, and management basics. Melissa also has extensive experience preparing companies for financing rounds, mergers and acquisitions, and initial public offerings. Before joining Payne & Fears, Melissa helped spearhead Seyfarth Shaw's emerging companies group in the firm's Boston office. She was General Counsel for iDrive.com, and began her legal career at Silicon Valley's Gunderson, Dettmer. A former middle school Humanities instructor, Melissa devotes much of her time to community activities, including past board service as the President of the Amherst Alumni Association of Northern California and Chair of Mid-Peninsula High School, and volunteer service with Reading Partners, 826 Valencia, the San Francisco Ballet Auxiliary, and the American Repertory Theater. Melissa also represents a variety of nonprofits in pro bono matters. Joe Wetzel is a partner in the Trial Practice and Global Disputes group of international law firm King & Spalding LLP. His practice focuses on litigating cutting-edge copyright and content-licensing issues for clients ranging from emerging companies to some of the biggest household names in media and technology. Joe is a regular speaker on copyright and licensing issues in the U.S. and abroad. He has taught Music Law at the University of California Berkeley School of Law and has guest lectured at UC Hastings College of the Law and Santa Clara University School of Law. Joe earned his A.B. in Political Science from Brown University in 2000 and his J.D. from the Fordham University School of Law in 2004, where he was the Senior Articles Editor for the Fordham Law Review. He lives in Oakland with his wife, two daughters, and the family dog. Adrienne Timmons is a K-3 music teacher at Bentley School in Oakland, CA. As Bentley School’s Diversity Coordinator for 13 years and while working in the Oakland Unified School District and at Temple Isaiah as a Hebrew School teacher, Adrienne’s passions for education, inclusion, and the arts have been integral to her career. She has designed and facilitated diversity workshops for numerous private schools around the East Bay and co-created Camp Techopoly, a youth technology camp in Piedmont, CA. Adrienne holds a Bachelors of Music from the San Francisco Conservatory of Music, and she lives in Oakland with her husband and four children. Zach Cohen has been a leader in Bay Area community corporate responsibility through his work with the Oakland Athletics Community Fund and Golden State Warriors Community Foundation.For nearly a decade, Zach has served as a liaison between community stakeholders and leaders for programs that service underserved children & youth. Starting as a Warriors ball boy, Zach developed and implemented the largest grant making program in the NBA and a best-in-class model in professional sports. His board service includes Oakland Parks and Recreation, Playworks, and Fresh Lifelines for Youth (FLY). He is a graduate of Berkeley High School where his good buddy Chinaka Hodge regularly bested him in creative writing workshops. Leila Mottley is a senior at Oakland School of the Arts who writes poetry with a passion for social justice. As the 2018 Oakland Youth Poet Laureate, she hopes to address local issues around gentrification and preservation of the city. Mottley is founder of Lift Every Voice, a youth-led art workshop series, in partnership with Beat Within Workshops. She created the program to connect incarcerated youth with their peers who are outside of the system. Tiffany Golden was trained in Motion Picture Production at the Academy of Art University where she found a love for writing. She is the author of the Midnight Story Series, a children’s fantasy series and currently a Creative Writing MFA candidate at Spalding University in Louisville, KY. In addition to her own work, Tiffany has passionately worked with school-aged youth for over 15 years in an effort to support them in sharing their voices. Anna Kingsley is an Oakland resident, presently waiting on her porch for her kids with the neighbor's cat who appears to be sticking out her tongue at her. She is also a teaching artist, bookmaker, and printer of the printing press variety as part of her beautiful business Pickypockets Press. Brooke Doaks is a poet, artist, and visionary. She is the founder and creative director of Goddessflow Presents, an engagement series highlighting the black feminine divine. She earned her BA from Columbia College. Her forthcoming collection of poetry, A Grey Soul, will be published 2016. She's produced MTV2 featured music video "World Famous" by Brandun Deshay as well as a PSA for Greenpeace and short films. Brooke’s dedication to social justice movements has lead her to organize for organizations such as Greenpeace, the DNC, Action Now and SEIU. She worked as a community organizer during the Chicago Teacher's Union strike where she organized one of the first Freedom Schools in the country. Brooke was one of the featured curators of "The Hundy," an Oakland poetry festival and a reader at last year's Beast Crawl. When she's not hiding in nature, you can find Brooke at Chapter 510 mentoring youth. You can listed to her poetics on her soundcloud here. Marya Brennan taught 5th grade English at KIPP Bayview Academy in San Francisco for three years before leaving her job to travel, write terrible novels, learn Spanish, and adventure through Europe as part of a two-person street circus. She resettled in Oakland and just finished two years of teaching 7th grade humanities at Greenleaf TK-8 in East Oakland. She’s excited to spend her time taking creative writing and film classes at CCSF, working with Chapter 510, and running through the streets of North Oakland with her little brown dog, Buster. Jana'e Johnson is a black queer poet, community organizer, teaching artist, and full-time educator. Hailing from California, she is the 2015 Women of the World Poetry Champion as well as a 2015 National Poetry Slam Champion. She is also the Co-Founder of both: the Root Slam poetry venue in Oakland, California, and the House Slam poetry venue in Boston, MA. Jana'e’s poetry has appeared in outlets such ESPN, PBS Newshour, Blavity, and Kinfolks: A Journal of Black Expression. Her work aims to address the intricacies of black masculinity while balancing her love for her family, Motown music, and women's basketball. Jana'e holds a M.Ed. in Educational Leadership, nd facilitates writing and performance workshops for all ages. She currently resides in Berkeley, CA. Perla Yasmeen Meléndez is a writer, artist, teacher, and chef. She holds a BA and MFA in Book Art & Creative Writing from the University of California at Santa Barbara, and Mills College, as well as a Culinary Arts Degree from Costa Rica's Escuela Gourmet ARCAM. Meléndez has extensive experience teaching art, cooking, and creative writing to youth and adults. She has worked as a teaching artist at Alameda County's Integrated Learning Summer Institute, Edna Brewer Middle School, and ACORN Elementary School. She currently teaches at Head Royce's ASP Program as well as in their Heads Up Program. She is the founder of Oakland's Two Mamacitas Pop-Up Kitchen, a small scale catering business serving Latin American Cuisine. Sarah O'Neal is a queer Black Maghribia poet from the Bay. She is an alum of the 2015 VONA/Voices writers of color workshop. She is a two time member of the Brave New Voices team representing the Bay Area. Sarah’s work has been featured on AJ+, Upworthy, and Everyday Feminism. She has performed at the Empowering Women of Color Conference, The Kennedy Center, and UC Davis. Sarah teaches poetry workshops on mixed and queer identity. Currently, she is a poet mentor at Youth Speaks and a student at Mills College where she studies English Literature and Ethnic Studies. Simone is a writer and educator with roots in East Side San Jose. She seeks out ways to make the literary arts accessible and approachable, and values writing as a fundamental link between self and community. Currently she works for The Beat Within, a magazine by and for incarcerated youth, and publishes poetry zines. She's also scheming to start a small press - reach out to her if you're interested in collaborating at zapata.potato@gmail.com. Our web site and materials feature the work of local artist, father, and storyteller, Robert "Tres" Trujillo. Robert's use of illustration, storytelling, and public art reflect the artist's cultural background, dreams, and political/personal beliefs. Xochitl Frausto is a South Central Los Angeles native and a writer of fiction and poetry studying at SFSU. Xochitl identifies as a queer Xicanx and has worked on organizing for racial and LGBTQ justice in Los Angeles and the Bay Area. Daniel B. Summerhill is a poet and performance artist from Oakland, California. Daniel began writing poetry at the age of 12 and started performing several years later, wining several poetry competitions such as the Golden Gate Slam, New York Empire State Slam and others. Since 2009 he has has performed in over 20 states. He has toured both nationally and internationally in Europe and South Africa spanning a 4-city European tour and a residency in Durban, South Africa sponsored by the United States Embassy. He has graced stages such as Def Jam Poetry Reunion, SoFar Sounds, FlyPoet, Busboys and Poets and others. His work has appeared or is forthcoming in Califragile, Lilly Review, Blavity, Button, Street Light Press and others. Daniel received his Associates degree in African American Studies from Laney College in 2011, a BA in English/Philosophy from the College of Saint Rose and has earned an MFA in creative Writing from Boston’s Pine Manor College.